Wow! 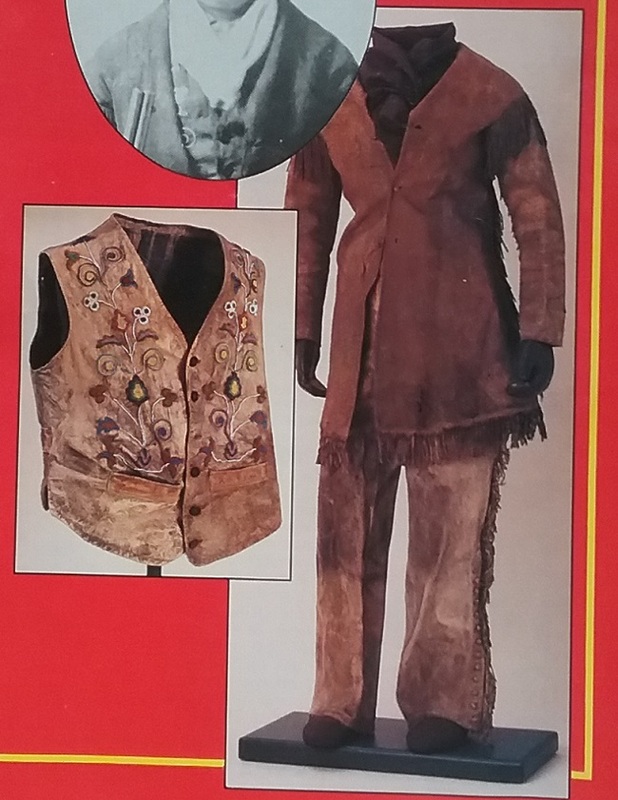 The vest is really interesting. All of the garments “look” uncomfortably heavy. What pattern/design is on the vest? Is it hand painted or patchwork? One thing for sure – bet she I not wearing a corset! No mention of her footwear ? The article tells us that the trousers are thick and heavy enough to stand on their own! The items are all make of leather or buckskin. The designs on the vest are beadwork. Thank you for sharing! Excellent detective work by the archivist! 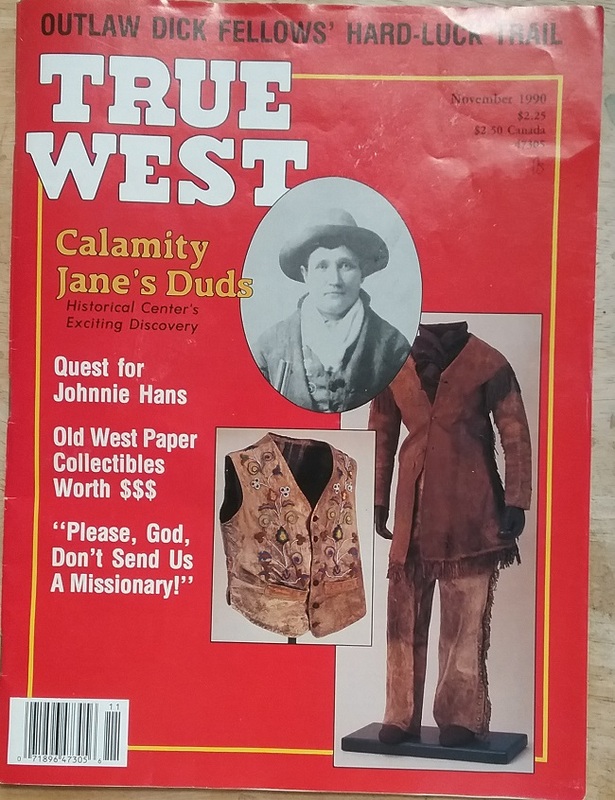 I wonder what other True West articles about historic clothing also exist. I am reminded of the book “Calamity Jane’s letters to her daughter” by Hussy Press (1976). Worth reading too! There were other issues in the bins and I looked through a few of them, but found no other clothing articles. I’m just glad this one was featured on the cover. Fascinating! Thanks for bringing this fun article to the web! 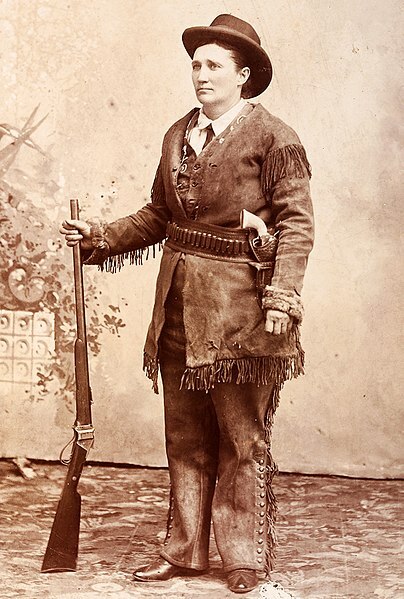 Off to read about Calamity Jane. Stuff You Missed in History did a podcast on her some time ago. She was a fascinating woman, and nothing at all like Doris Day. So satisfying! I got very caught up in the displays at the Autry Museum of the Southwest in Los Angeles. Gene the Singin Cowboy bought a LOT of stuff, some of it real, some fake. My dream retirement job is there, authenticating and explaining. Sometimes the fakes are even more interesting than the real stuff. That Autry museum has been on my must-see list for a long time. I’m glad you love it. What entertaining research and mystery solving. Those leather clothes would have been very hot and stiff, not something you could move well in. I wonder if they were stricktly for photos, appearances, etc. Surely not everyday wear. She led a really rough and tumble life, and the coat, especially, shows a lot of signs of wear. But the pants and vest are quite fancy, and my guess is that she wore them only in appearances.